After something so flashily amazing as Birefringence, a neutral palate cleanser was most definitely called for... and it turns out I had yet another wintry snow-themed polish in my stash. 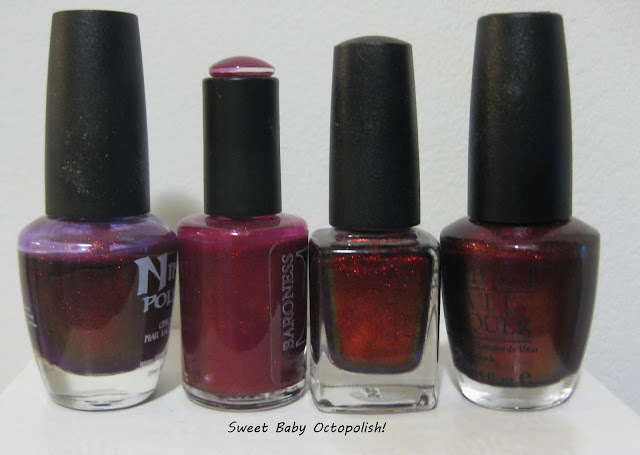 I picked up two Rococo polishes in a destash - she had something I really wanted, and picked these up to come along for the ride - despite having never heard of the brand and being unable to find swatches online. And wow, am I glad I did. Sno Baby Luxe is a white crelly brimming with iridescent microflake shimmer (I think the "luxe" at the end is Rococo's way of designating finish rather than part of the name, but who can be sure?). 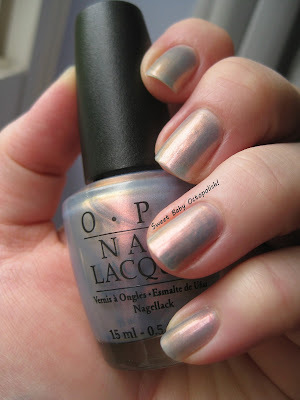 I'm wearing 3 coats here plus topcoat, though this dried quite shiny on its own. 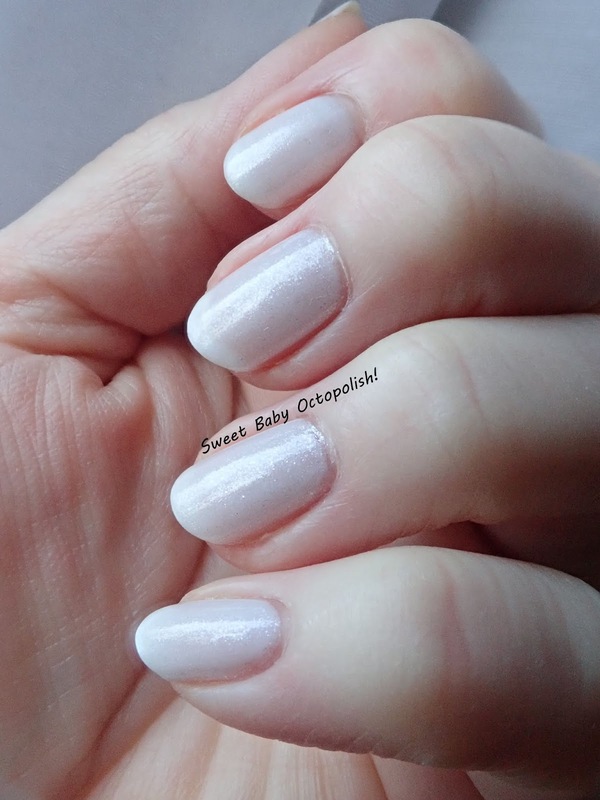 Sno Baby was amazingly non-streaky for a white polish, with a borderline too-thin formula that meant that it self-leveled flawlessly and didn't get thick even by that 3rd coat. There's still some VNL at 3 coats, but the iridescent microflake shimmer + incomplete opacity means this was much more wearable than a stark white. I wanted to try out my recently received Moonflower Polish, another new-to-me brand for stamping here. Moonflower released The General as part of November 2018's Badass Women PPU, a slate grey creme with aurora shimmer and holo dust. I think with a thicker image, the holo and shimmer elements would pop more, though I can see them clearly when I zoom in on the sun pic above. 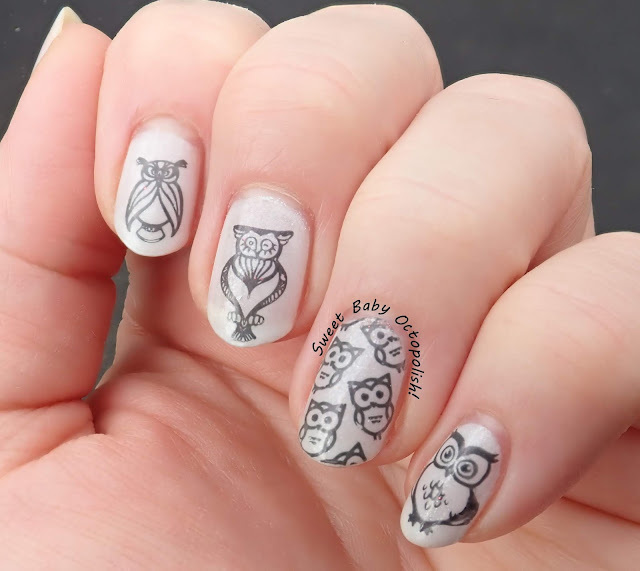 I've used Uber Chic's mini owls plate for the designs here, which has an abundance of adorable feathered friends - each owl is different across my whole mani, including those on my thumbs and left hand not shown here. Rating: 5 out of 5 stars, this is such an amazingly beautiful white polish I'm now considering getting rid of other similar but clearly lesser things in my stash. The brush was perfect, the formula was great, and this wore like iron for a solid week. 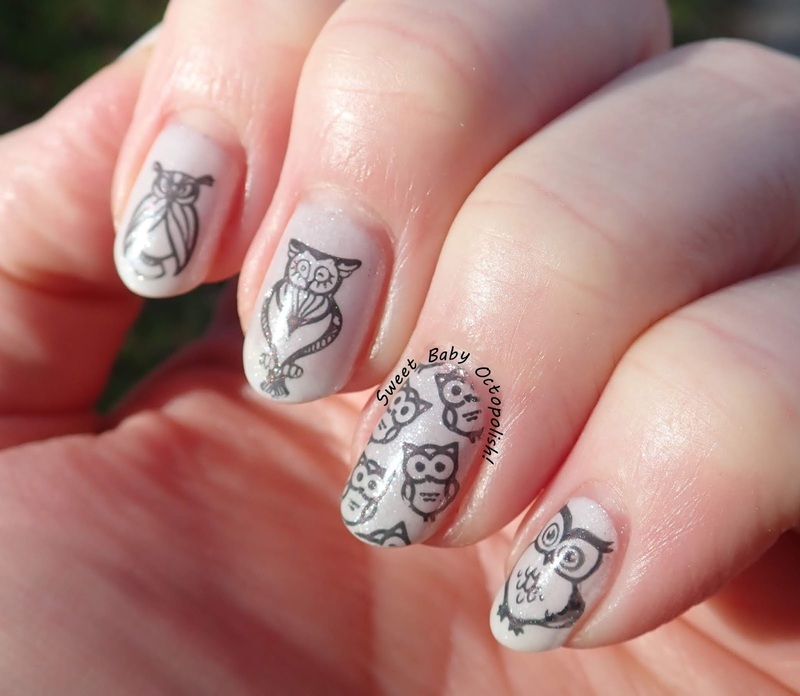 The owl plate is another smashing win, with this mani earning me compliments all over the place. Apparently, everyone loves little owls as much as I do! Where to buy: sadly, I think we're all outta luck here. Rococo appears to be defunct as a polish brand despite all the great things + magnificent packaging it came in. I see a few bottles on ebay, but that seems to be your only option. But snap up that owl plate if you're into stamping!